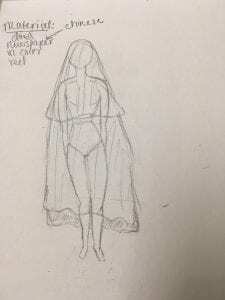 My first sketch is designed to be a veil like garment that covers the whole body. The top veil would be made with a semi see through material so that the person can see. 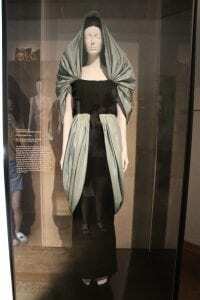 While the bottom part of the garment would be non see through. 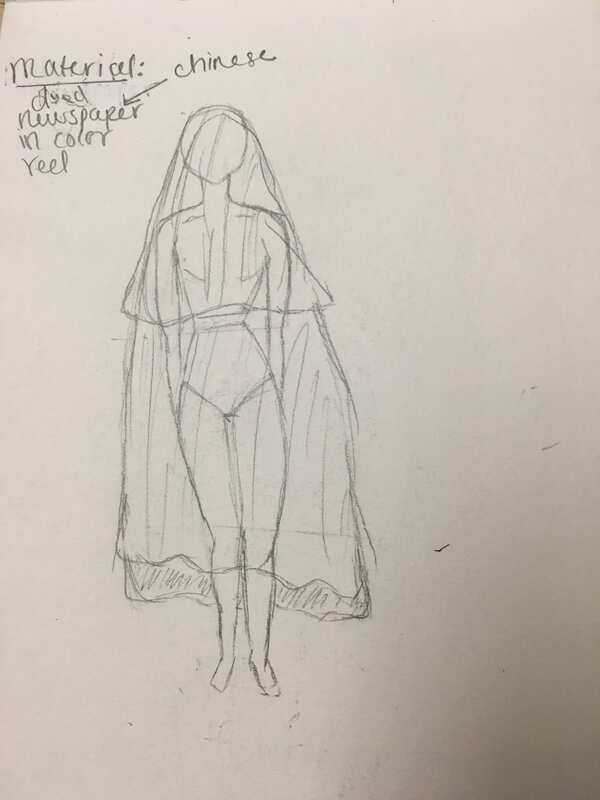 My current plan with this design is to have the bottom part made out of Chinese newspaper dyed in red, and the top veil in a different material. This garment was inspired by my “Personal Space” prompt, specifically, visual overload and personal interaction. 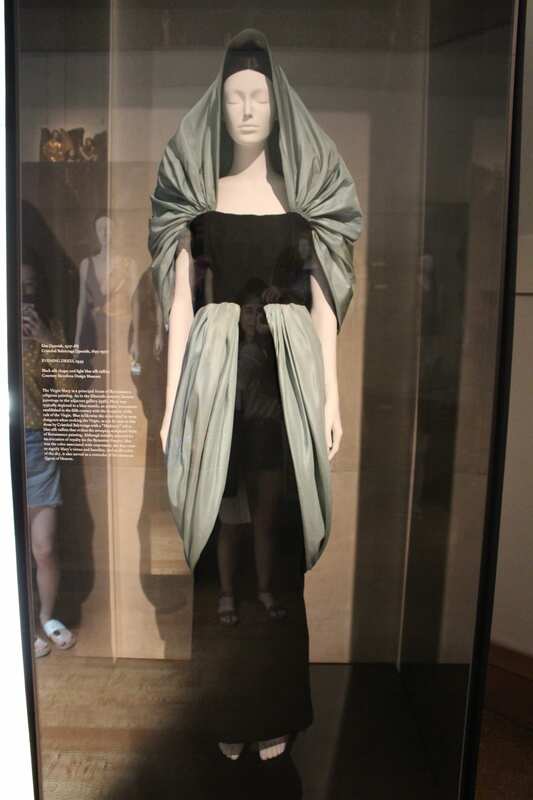 This garment would help the person against visual overload because the single colored top veil would help make the persons view of the town in one color, that way they avoid all the bright colors of Chinatown. 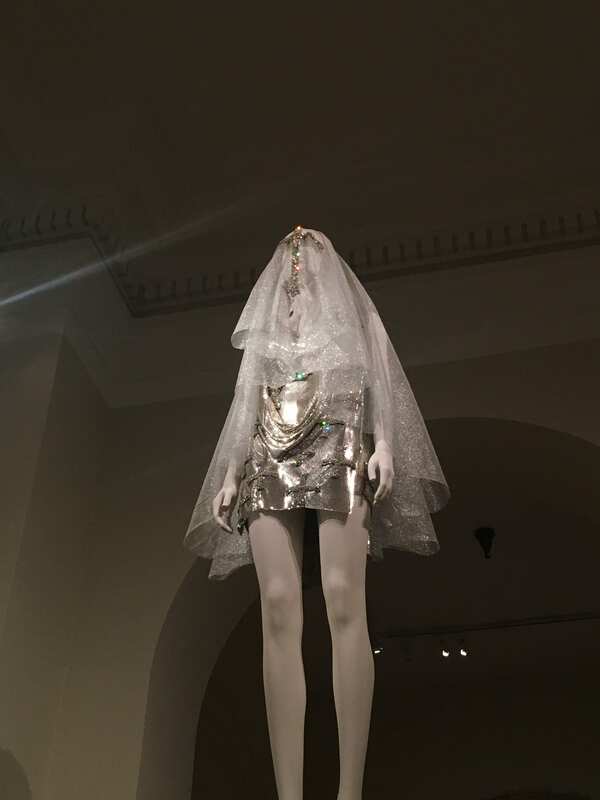 The rest of the veil shaped garment made out of newspaper works as a way of enhancing the entire image of the person, to portray the message that they want to keep to themselves and want to avoid interactions, as Chinatown is very busy. My second sketch’s main focus is the head piece. 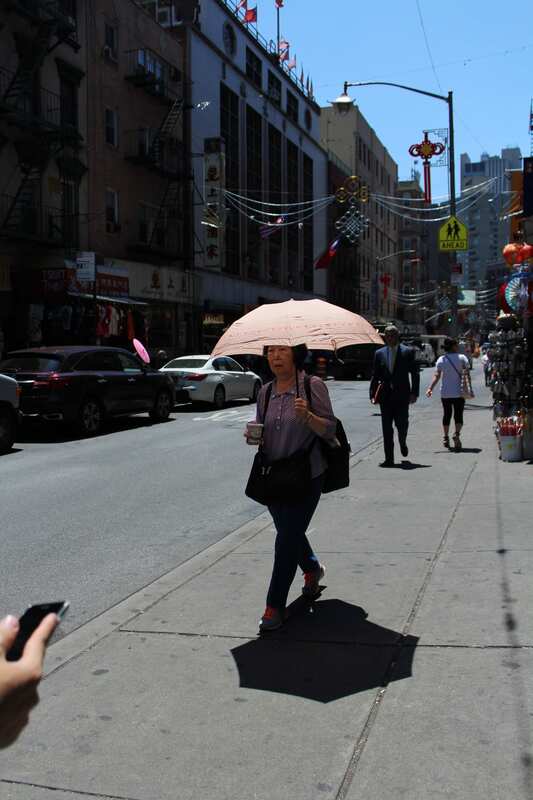 While in Chinatown, I saw a lot of women with umbrellas, therefore I decided to work around that idea. I designed a dome shaped head piece that would serve the same purpose as an umbrella, while also serving the purpose of avoiding interactions with other people. The spikes are a reinforcement of the “don’t bother me” idea of personal space. For the rest of the piece, I want to keep the top simple; maybe simply have it patterned in traditional Chinese symbols. 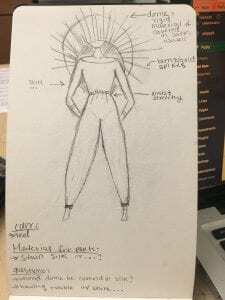 The pants will be like loose joggers caught at the waist and ankle. These pants would be made out of red satin. The dome like figure may be covered in the same material as the pants, and the spikes will be gold. This design can also help a person prevent visual overload by blocking out some of their view. 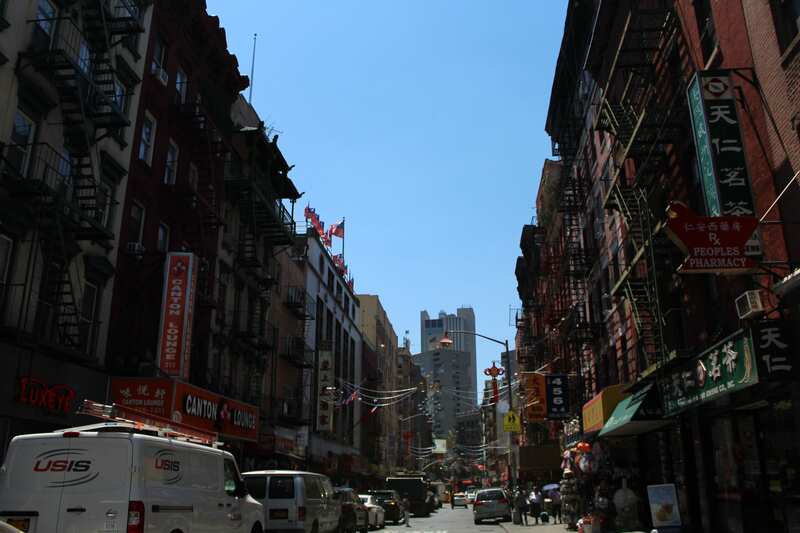 The garment itself is an obscurity and a visual overload, therefore helping the person camouflage right into the busy chinatown streets, consequently, the camouflage is a way of avoiding personal interaction.